Indonesia is the world’s largest archipelago. With a population of more than 200 million, it is the fifth most populous country in the world. Its position on the trade routes has produced a rich and diverse culture influenced by animist, Hindu, Buddhist, Christian, and Muslim traditions. 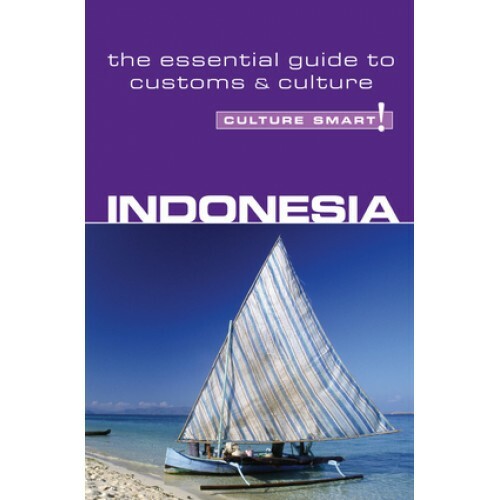 There are some three hundred ethnic groups in Indonesia, the product of centuries of migration and settlement. The differences between ethnic groups and social classes are clearly understood, but underlying this diversity, and the more recent cultural impact of the West, are common core values. The vast majority of Indonesians live according to beliefs and perceptions that the visitor needs to be aware of in order not to offend unintentionally: the principles of social conduct reflect an Asian approach to the world. These values lie deep, and influence behavior that to outsiders may seem irrational or perplexing while statements, gestures, or other conduct perfectly natural to the visitor may produce adverse reactions from Indonesians. In general, though, Indonesians are gracious and will make allowances for strangers. Culture Smart! Indonesia provides an introduction to this rich diversity while enabling you to avoid some of the social pitfalls when visiting, living, or working in this fascinating and beautiful country. Indonesians are a hospitable and courteous people. By making an effort to understand and respect their values and customs, you will earn their appreciation and friendship.